When my husband and I were first married, we were both working full-time and had no kids, so each week we would head out to dinner or a play or a concert or a movie . . . date nights were so fun and easy! Fast forward 9 years and three kids under the age of 6. We have a student loan debt the size of Alaska (thank you Physical Therapy school) and can’t afford a babysitter every weekend. Plus, I don’t want to leave my 4 month old baby with just anyone! So, we have had to be creative with our dating life. We still make it a priority to set aside one night a week where we turn off the computers and focus on just being together. 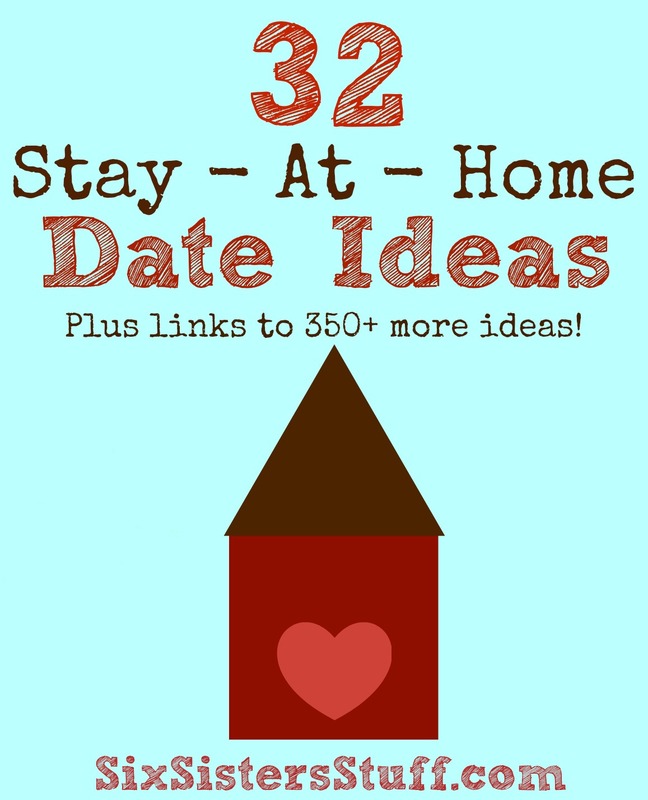 Here are some of our favorite at-home date ideas that we have tried (and loved!)! This cute journal will change the way that you look at your spouse and your marriage. All that you do is spend only a few minutes a day (or even less) filling out one simple sentence of gratitude toward each other – not only will it help you show more appreciation for each other, but it’s such a keepsake that you will treasure forever! It also helps strengthen your marriage because you will start to focus on what is GOOD in your spouse and in your life. This eBook was written by a good friend, who also happens to have a PhD in Family and Human Development, along with another degree in Marriage, Family, and Human Development. 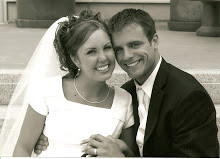 He has been learning about marriage and teaching others how to improve their marriage for over a decade. 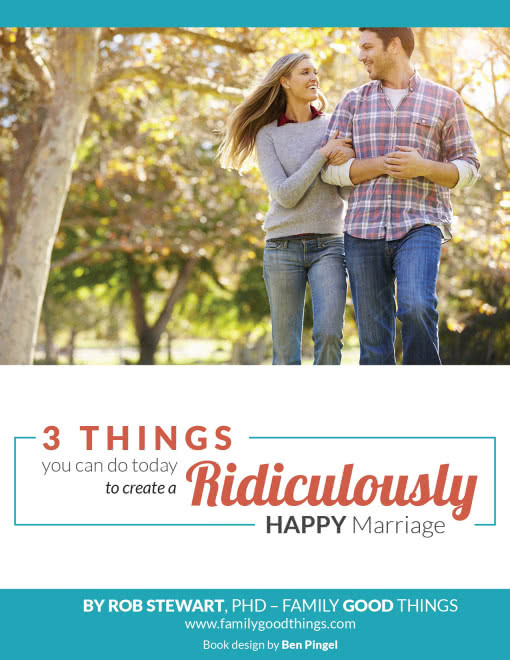 In all his studies, he found 3 things that every person can do to create a happy marriage and put them together in this book. I recommend reading it together as a couple and finding ways to implement these ideas into your marriage. You can check out the book HERE. 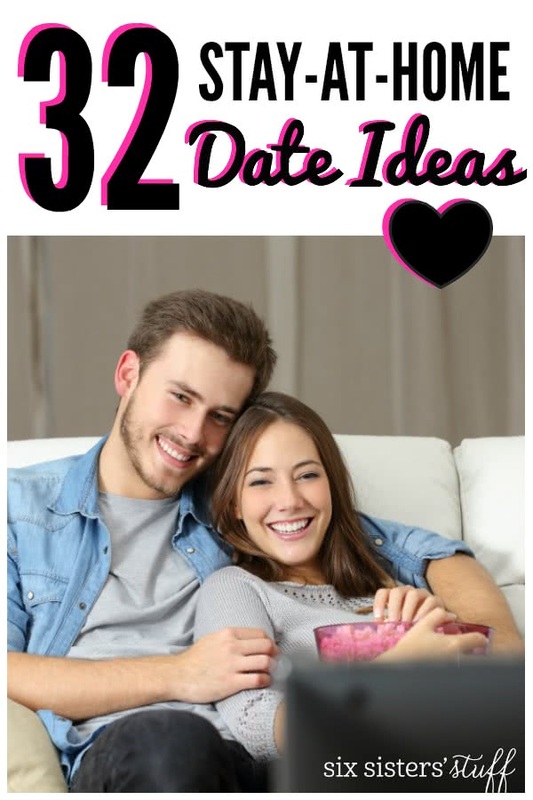 Now, onto the date ideas! 1. Play “Would You Rather?” You will learn a lot about a person that you never knew when they are faced with a crazy question . . . you can find a lot of questions here. 2. Forget Wine and Cheese . . . how about a Chocolate Tasting night? You can get all the info right here, along with a cute printable to make it happen. 3. Watch a sports game together (or record one on the DVR and watch it together later). Eat nachos and hot dogs and cheer for your favorite team. Make bets on who will win and choose a fun prize for the winner. 4. Give each other massages. Use Google or You Tube to learn some proper techniques and get to rubbing! 5. Have a “finger foods only” dinner and feed each other. 6. Invest in an ice cream maker or a bread maker (you can actually get some pretty decent ones for really cheap at a local thrift store or consignment store) and invent your own concoctions. 7. Go on a picnic. If it’s warm enough, try to go outside (even if it’s in your own backyard). And if it’s too cold, spread a quilt out on the floor, make some sandwiches, and keep your picnic indoors. 9. Decorate mugs for each other. You can pick up mugs at the Dollar Store and use a sharpie marker to decorate it. It will be such a fun reminder of how much you love each other as you drink from it each morning (oh, how I love cute, cheesy love!)! Here is a cute example. 10. Play the Newlywed Game! See how well you really know one another. Have prizes for every correct answer. You can check out some fun questions here. 11. Make Homemade Donuts. This recipe for Homemade Spudnuts is my favorite and it makes a TON so you can totally share some with the neighbors (or eat them all yourself . . . I won’t judge). 12. Have a Video Game night. Seriously, I did this after we had been married for a couple months and we stayed up playing video games until 3 am . . . and my husband pretty much knew then that I was the best wife ever. 13. Make it a theme night! Choose a theme and center everything you do around it. For example, if you choose an Italian theme, you could eat spaghetti and gelato, then watch a movie like The Italian Job or Life is Beautiful. Some other fun theme ideas: Mexican, Asian, Christmas, Kid’s theme, 1950’s (or any decade), etc, etc. 15. Have a Fondue Night. Don’t have a fondue machine? No worries! You can melt chocolate or other dipping sauces in a slow cooker or even on your stove top! Check out my favorite Rocky Road Fondue dip. 16. Host a Book Club . . . for two! Check out two copies of the same book at the library and discuss the book as you read it. 17. Have a Homemade Pizza Night. We love to do this with our kids, but it would be fun to do with each other. Here is our favorite homemade pizza crust recipe. 18. Write out the story of how you met (and fell in love). Better yet- video tape it! Your kids and future posterity will be so grateful and it is so fun to go back and read (or watch) years down the road. It’s amazing how much you will forget! 19. Have Breakfast in Bed (even if it’s a night date! Breakfast for dinner is one of my favorite meals!). Pull out the TV trays and go out all. Here are some of our favorite breakfast ideas! 20. A Year In Review. It’s always so fun to go back and remember all the things that have happened in the last year. Use this printable to easily record and remember all that has gone on in the last 12 months. 21. Make marshmallow guns and have a marshmallow war. Buy some PVC pipe from a hardware store and make your guns. Then have an all out war! 22. Break a record! Find a record in Guinness Book of World Records and spend the night trying to break it. Try doing it together as a team or make it a competition and compete against each other to see who has the better record. 23. Pop some popcorn and watch YouTube videos all night. Ask friends and family for recommendations or find some of the most popular ones. We were cracking up at some of the funny stuff on there! 24. Have a living room campout. Make indoor s’mores and tinfoil dinners in your oven. Make a tent out of forts and pull out your blow-up mattress and sleeping bags. 25. Have a snowy night party (winter time). Sneak outside (if you have kids, make sure they are asleep) and build a snowman or have a snowball fight. Come back inside when it gets too cold, make hot cocoa and warm up under some big blankets . . .
28. Take some personality tests and compare your results. Here are some good ones: Jung, True Colors, The 5 Love Languages, and The Color Code. 29. Play Twister! See how tangled up you can get . . .
30. Bubble bath for two. Need I say more? 31. Break out the board games. Make it interesting by adding a rule that the loser of each game has to lose one piece of clothing. 🙂 Guarantee your husband will play Yahtzee like his life depends on it just so he can win. 32. Play this fun Love Match game using personal things from your relationship. Oh, I am SOO excited to try these, thank you for the ideas!! I love these ideas! I'm not married, but as a fairly recent college graduate dating a guy in grad school, we don't have a ton of money to go out often. We watched a hockey game tonight (#3 on this list) and it was so much fun :) Thanks for the ideas! Gotta love the PT school debt! My husband and I are both PTs, just had our first baby 9 mos ago, and these are great ideas! Thanks! Wow. I feel like we are naturally kindred spirits. My husband just finished PT school a year ago and we have 3 kids under 5. Life is crazy. Thanks for the ideas! Hey. Umm.. I found this on pinterest and my brother's wife is Hailey Nash. She said she knew you. I really like this website its very helpful. You know what's more fun than Twister? Naked Twister. To see two people love each other as much as you two do to make up date nights to keep things fun with each other with three children inspires me! Marriage isn't easy. It's hard to make time for each other with children and busy work schedules. I can't wait to share the ideas with my husband and honestly..I hate to admit this and say it, but you could possibly be saving my marriage! Seriously. I'm taking some of these ideas on vacation with us! Hi there, I discovered your site by means of Google at the same time as searching for a comparable matter, your site got here up, it looks great. I've added to my favourites|added to bookmarks. My boyfriend and I are in PT school now and not looking forward to the debt on bit! These are great ideas!!! Hello Six sisters, some awesome date ideas here. We also wanted to give some cool dating ideas for women. Here is one our article written for women by a man. Hope, it would interest you- http://www.thetwoangles.com/romantic-things-to-do-with-your-girlfriend/ Thanks in advance:) Looking for more awesome articles. Great ideas! So sweet and simple for a busy mom to do with hubby after a long day. It can be so hard to leave the babies; what great ideas for keeping it new and exciting at home! We LOVE LOVE LOVE date nights! They keep our marriage alive. We have 8 kids and it's hard to get out, so we usually have ours at home after they go to bed...but that doesn't mean we skimp. I'm learning to plan ahead and make them super special -- just as if we'd gone out. Thanks for the extra inspiration!